I am asking you today for help. My name is Kateryna Fury, and I am a writer who forgets to get published sometimes and I dabble in horror, fantasy, poetry and the loose ends of my brain. I need help today helping one of the most influential beings in my life. Her influence is massive despite her small size and her being a cat, but it is there all the same. This is the story of Nosferspratu aka Sprite. Sprite was born in a rural town in New Mexico, the entire litter was put in a box and dumped in the road. She survived the car hitting it and being dumped into the shelter system. This street smart feline was adopted a few times but brought back due to being too wild. She was deemed a feral and put into the feral rehabilitation program run by the state. She was dubbed Demon, and eventually clawed her way to some friends of mine. She was homeless and so was I. They took me in for meals, just as they cared for a menagerie of animals. I went over one day so they could feed me and warm me up, it was late in November and my Post Traumatic Stress Disorder was making surviving while being disabled and homeless nearly impossible. I couldn’t seem to fight for the few foods I was not allergic to, and I was in serious trouble. I sat down on the couch, and they took my walker away, to put it aside until I needed it again and I closed my eyes savoring the warmth of their heater. I felt her weight on my legs, then the hesitant rumble of her purr. It was the first time she had purred in their house, and my friends were surprised. They came back to the room with a tray table and food and found her curled up on my lap, her eyes closed, her tiny paws tucked up under her body and her face pressed against my stomach. They did not disturb her but adjusted around the cat, we ate, and laughed, and several hours later she was still there. She did not want to let me go, and tried to dig in quite literally when it was time. They did not tell me her history then but they saw the feeling was mutual. In that short timeframe I had fallen in love with the silver blue cat. As luck would have it, I had a place to stay shortly after that but I did not yet have any income. A person renting a room in a house decided to let it and let me stay. They agreed to back rent, and then when my friends brought over Sprite let me actually keep her. They paid for her food, my friends her litter, until I could afford to do so. Neither one had to but this was part of what lead to Sprite and I having a chance to grow together. Sprite never showed me her feral side. That first night was one of the few times when I could tell she was not used to a house, but she never once ran from me. We had an adventure in my room trying to settle in. Me with an untreated spinal injury and her with her fear of the dark. Once I figured out what was scaring her so badly it was not too bad. I turned a flash light on under the covers and put the ticking clock out of my bedroom door, then curled up with her. I woke up the next day with her tucked up under my head as if SHE was my pillow. She never got the idea that she wasn’t a good pillow, though she was exceptionally small and bony then. This was nearly ten years ago and I still remember it like it was yesterday. I was not really prepared for the amazing intellect my cat has. She is wiley, and I suspect a lot of her challenges before were mixtures of fear and boredom. I didn’t ever have to find a way to keep her from being bored, it turns out I was her way. My disabilities lead from a lot of trauma, I mentioned before I suffer with PTSD, and my body has some medical challenges from that. I also had a bout of malpractice that I had to fight through preventing my spinal cord injury from being treated. I did not yet know what was wrong with my legs at this time, and my pride wasn’t helping either. With in days of our living together Sprite saved me from a medical cataclysm for the first time. She came into the living room, bumped my knees until I sat down and then stood on my chest staring into my eyes while yowling. My roommates came running to find out if she was hurt, and then I had a seizure. My seizures are Petit Mal, so I am aware of them and conscious but I cannot DO anything. I float in the space where electricity reigns. This was the first one anyone had seen, I had thought them normal. Sprite alerts like that consistently. Since I use a wheelchair, after finding out that my spine is indeed a mess after that car accident and I should have had treatment, she will just climb into my lap and block access to the controller. 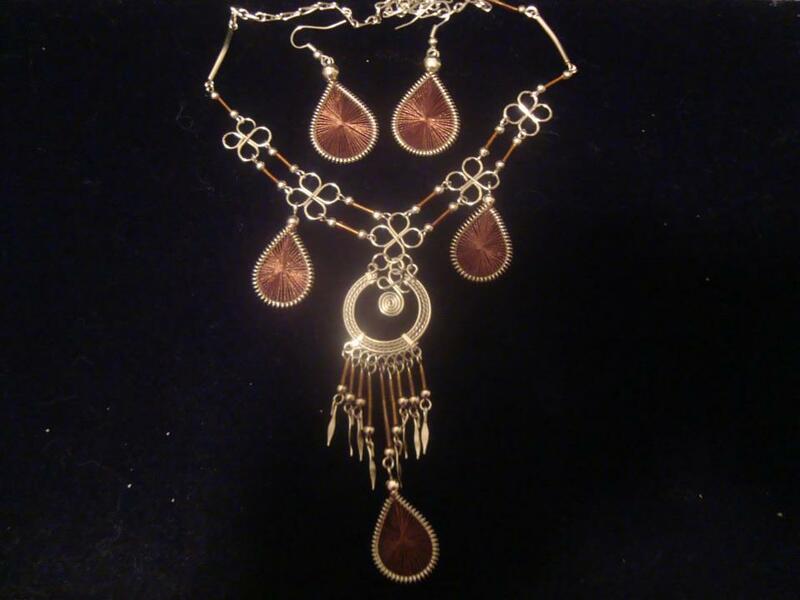 She does other things too and before her health began to decline did even more. The myriad of things is long but she helps me to safely move in my house. My legs work intermittently so I like to sit into my chair instead of fall into it via a transfer, she makes this happen. She detects the dangerous allergens for my allergies, and has more than once saved me from what would have been fatal cross contamination. She reminds me to take my medications. Her best skill however is calling 911. Some phones work better than others but she has more than once called for help. I cannot list everything she does without turning this into a 500 page novel. Despite the physical aide, the most important thing Sprite has brought me is mental relief. Some time into our friendship something shifted in my brain. I am not sure if it was during a nightmare or waking PTSD, but I was lost in a moment of violence. I was reliving a brutal beating by my father and instead of calling for my mother I called for Sprite. My mother never came, but she did. The change to the memory interrupted the flashback. She let me cry into her fur for what may have been hours. She purred consistently and deep. She was there. I am not sure what made me call for her but she has since then always been there. My being disabled my PTSD has nearly disappeared. With Sprite I can be downright reliable, but most of all I am free to explore the occassion of stories with happy endings. It is a bit hard to say but Sprite gave me the love I always wanted. Before I knew Sprite I did not know what love was. There were people involved in learning that too but I would not have taken the risk without them. I would be locked forever in my mind, without her. I do need her, and while life is finite she does not have to die from an untreated infection. I am asking for more time. She is 11 years old and with the surgery she can live quite a lot longer. I want more birthdays, holidays, and laughter with her. Without her I will be okay, she helped me to become a whole person. No therapy ever did, no doctors can cure my body but she cured my spirit. She let me grow into a woman and an advocate for equal rights. I want her to reap the benefits of my happiness. She gave me a life I never imagined I could have. She gave me the ability to not just be alive, but to experience. She gave me my words to write again. There is so much I want to put in here, the times she has saved me. The times I saved her. Most of all I just wish I could put into words the feelings that she lets me feel. New sensations. Warmth, joy, happiness, excitement, and the other words that exist are not enough to convey what she has gifted me with. There is no real way to imagine without knowing her, how she can alter your reality. I never knew I would let my cat wear sweaters and dresses, for warmth and sun protection. I never knew that I would love at all. I was just a child when she met me, and she was just out of kittenhood. She is my trellis so that I can wind like ivy towards the sun. Thank you for reading this and giving consideration to Sprite. Her life has more adventures than I could share, and she has done amazing things for people, without the joy of opposable thumbs. I hope that even a fraction of the light she brings my world crept through, and perhaps a bit of that love. Sprite has two abcesses in the roof of her mouth that have spread to her teeth. These were caused by an untreated mast cell sore, and resisted antibiotic intervention over the last year. They have begun to push her teeth out of her gums and now she needs to have them excised and some teeth extracted. If left untreated this infection will cause blood poisoning. Right now she is on the strongest antibiotics that I can handle, to try and keep things status quo but they are not strong enough to help for long. That is due to my extreme allergies to the medicines. This includes the presurgery bloodwork, the catheter and IV, fluids, pain injections, as well as the dental debriding, anesthesia, and a second blood test to make sure that after surgery none of the infection went into her system that way, as well as her hospital stay and pre and post surgical xrays. We did some Xrays already but they need them to be done the day of. This also includes the post surgical visit to see how she has healed, I am told. The account number for Sprite’s prepay is 100495. To pay to the account you need to call Aztec Veterinary Clinic at (505) 265-4939 if you wish to pay directly. You will need to tell the office it is for Sprite’s surgery and that will go into earmarked funds. You can ask to speak to a woman named Hope, who is fantastic. She does almost all of their phone work. If you want to use PayPal, you can use Mike’s email which is Michael.Kambli@gmail.com. Hi – this is Sumiko Saulson again. I am hoping that you will help Kateryna and Nosferspratu, and as an incentive to donate, I (Sumiko Saulson) and Requiem Rose Designs (proprietor Desdemonna Ekaterina Gare-Ho) are both offering donor incentives: things we give you if you donate to Sprite’s cause. I will also be donating proceeds from “Things That Go Bump In Your Head”, signed copies, which you can purchase from me for $10 + 4.95 flat rate US shipping (only $10 if you pick them up locally). 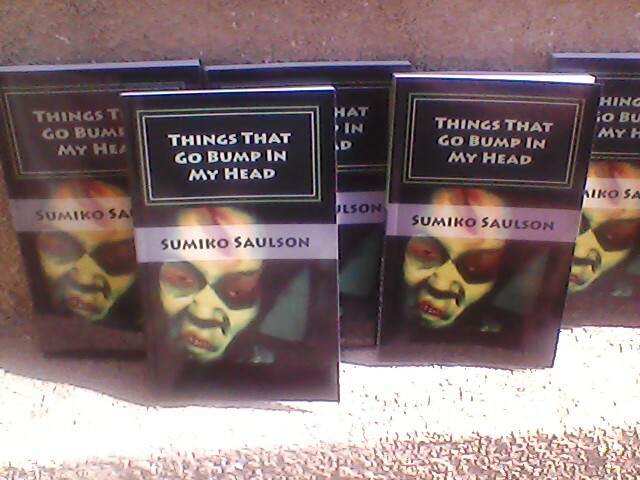 “Things That Go Bump In My Head” is a collection of short stories and other writing by horror and science fiction novelist Sumiko Saulson. A bit of old fashioned horror… a ghost story… a couple of works on the dark humor side of horror (and they are unabashedly funny), a science-fiction dystopic tale, a few works of psychological horror… even a bit of poetry. It contains: “Frankenzombie”, “A Life of Her Own”, “Agrippa”, “I, Stammer (In Disbelief)”, “Dead Horse Summer”, “Attempted Happiness” and other short stories. Because it is a collection of these pithy and varied tales… there is a bit for everyone: Reading “Things That Go Bump In My Head” is like entering a haunted house ride… you never know what you will find around around the corner. ~ by Sumiko Saulson on December 27, 2012. Just sent money via paypal. Good luck Sprite! Got it! Thanks for letting me know, Jeannie. I’ve been so busy raising money for my dad’s funeral that I was worried that Sprite would get swept under the rug. But Kateryna tells me that someone offered to pay her vet bills a day or two ago, I meant to update the blog. I will still forward your donation to her and Sprite. Also… your donation qualifies you for a free book, let me know if you want it, you can just email me sumikoska@yahoo.com about where to send it.